I am a major slacker at this blog posting on time thing, but it’s Tuesday all day long, so technically I’m not late. Today I am grateful for good music. Yesterday we drove to Blanding, UT where we stayed at Dallas’ families house for the 4th. Anyone who knows me well, or has been on a road trip with me, knows that road trips = jammin’ out to music the whole time…Or at least until I fall asleep. Dallas and I listened to alternative, classic rock, sound track songs, and some hip hop. No matter what it was, I was just happy to sing my heart out to all of it. Music is how I bond with the people around me. In high school my two obsessions were music and cookie dough and you know what? That hasn’t changed at all for me (except adding Dallas to my list), and it’s been 5 years since high school, so I would say life is still good. So here’s to good music and the awesome people we get to share it with! 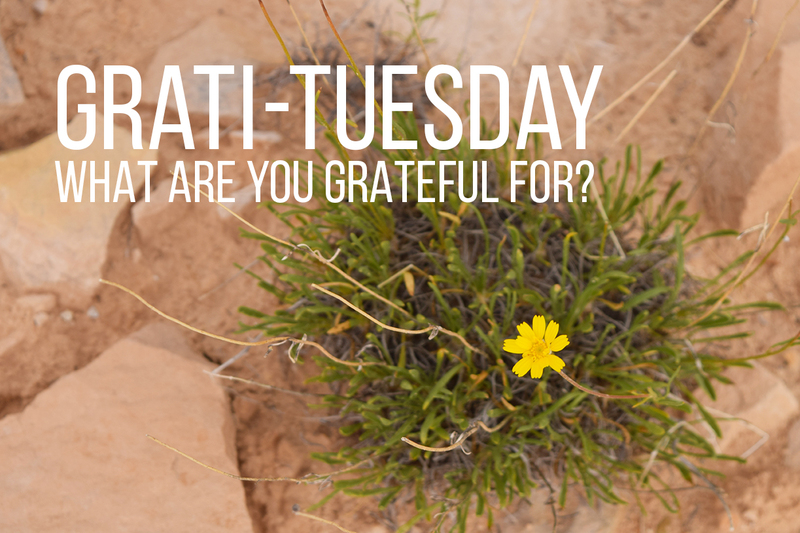 What is it that you are you grateful for today? What have you noticed this week that you are grateful for? I would love to hear what you are grateful for in the comments. I love this because SOOOO of my memories with you involve jammin' out to good music. There are so many songs that I hear that instantly take me back to some memory with you! I am grateful for rain today. We got caught in this huge downpour while we were running errands in Fillmore, and it was just so beautiful. Reading this seriously made me so happy. 🙂 We had some good times back then. The rain is SO beautiful and thankfully it's been raining all over the state! Hopefully that means less fires this year. And it's so green and pretty outside!